Saturday, March 9 2 p.m. -5 p.m.
Sunday, March 10 7:30 a.m. – 1 p.m.
Monday, March 11 6:30 a.m.- 3 p.m.
Tuesday, March 12 7 a.m. – 10 a.m.
Bring a first-timer with you – for FREE! Your registration includes an additional FREE registration* for a second person from your company who has never attended CAD before. Offer not available online. 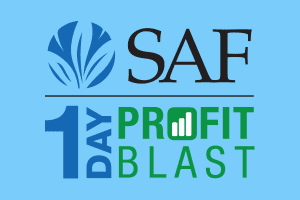 Contact meetings@safnow.org. * Second registration must be a first-time attendee. Offer not available online. Transportation: A taxicab can take you to the CAD hotel, which is a 4-minute drive from Ronald Reagan Washington National Airport (DCA). Another option is to take the Metro subway. DCA is one stop from the CAD hotel at Pentagon City on the Yellow or Blue Lines. If you require transportation assistance, please call the hotel’s Concierge Services at 703-415-5000. Always book your SAF hotel rooms using the information posted above. If you receive a phone call from any company claiming they are a responsible for SAF housing, it is a scam. 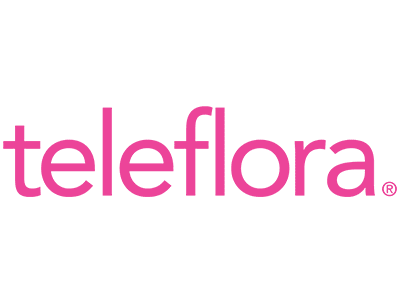 These companies are not in any way affiliated with the Society of American Florists and should not be used to make reservations. 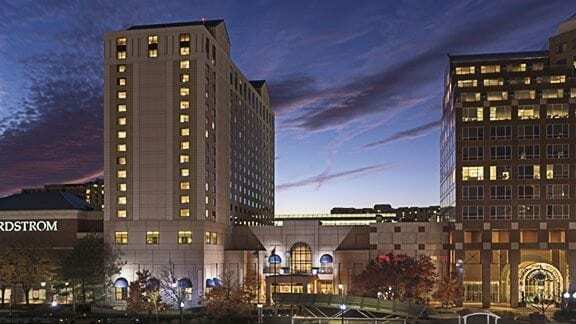 If you have any questions about hotel rooms for SAF’s events, please contact SAF’s Laura Weaver at 703-838-5221. One of Washington’s most accomplished journalists once named “The Greatest Political Mind of Our Time” by Comedy Central cuts through the spin and shares insights on trends and voting demographics. Reid Wilson is one of the few nonpartisan analysts to use visuals, giving a fun look at the political environment. Meet with participants from your state or region over lunch and talk about how best to tell the industry’s story during your congressional appointments. Arlington National Cemetery encapsulates America’s history — a living tribute to our Nation’s past and how it continues to thrive through the service and sacrifice of those willing to dedicate their life to its ideals. During this special networking experience, explore America’s rich history with fellow participants, witness the time-honored ceremonies and take in the scenic grounds and landscapes. Frequently meeting with sources and politicians of all stripes, A.B. Stoddard has her finger on the pulse of Washington, D.C., and offers detailed and smart political and electoral analysis. In a talk as up-to-date as the headlines, she covers the five biggest stories in the news and the latest happenings between Congress and the White House. *There is an additional fee to attend this special event supporting SAF’s Political Action Committee. 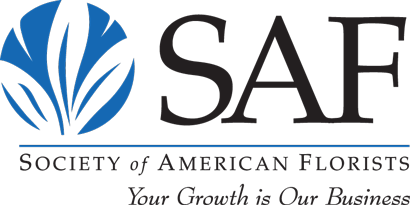 SAFPAC supports SAF’s lobbying efforts and brings visibility to the floral industry by contributing to the campaigns of federal candidates. 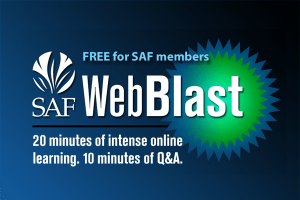 To learn more, contact Shawn McBurney at smcburney@safnow.org. Hunt Shipman has a wealth of experience listening to constituents lobby during his days on the personal staff of Senator Thad Cochran and as a former deputy secretary at the USDA. He shares some of the most memorable moments, revealing what resonates with legislative and regulatory aides and why it’s important for lawmakers to hear from you. This is your chance to tell lawmakers about how laws and regulations affect your business. Wear comfy dress shoes, and we’ll give you a wearable flower and take you to Capitol Hill to visit congressional offices as part of your state or regional delegation. STRENGTHEN our foundation for future generations! Stop by the hospitality suite between appointments to grab lunch or snacks, chat with other participants, and send thank-you messages to lawmakers and staff you visited. Gather with fellow attendees to unwind, share experiences and frame the events of a very busy day with fascinating personal perspective. Dr. Joe Bischoff is one of SAF’s lobbyists with Cornerstone Government Affairs, a firm specializing in government relations, strategic consulting and advocacy. He joined the agriculture and natural resources team at Cornerstone Government Affairs following his work in government and regulatory affairs for the horticulture industry where he focused on the intersection of federal programs and science-based solutions to plant health and crop production challenges. Dr. Bischoff has served on a number of scientific committees and review panels including the National Invasive Species Council’s Invasive Species Advisory Committee (ISAC), National Clean Plant Network (NCPN) and the National Institute of Food and Agriculture (USDA-NIFA). Previously, Dr. Bischoff was with the USDA’s Animal Plant Health Inspection Service (APHIS) where he was National Mycologist and Lead Scientist on the APHIS Intercepted Plant Pathogen Sequence Initiative (IPPSI). Alice Gomez, an attorney and professional member of the food and agriculture practice group, joined Cornerstone Government Affairs in 2007. She represents producer organizations, international entities, commodity research and promotion programs, food manufacturers and distributors on issues related to the marketing of agricultural products, international trade, and nutrition. Gomez advises clients on compliance with Federal statutes and regulations, drafts and reviews documents, and assists in developing client information for communications with government officials and Federal agencies. Shawn McBurney is a lobbyist and joined SAF in 2015 as senior director of government relations. 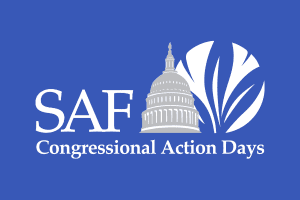 He represents the floral industry on Capitol Hill on issues that impact the broader SAF membership, such as health care, immigration reform, taxes, minimum wage, overtime and other labor issues. McBurney has worked in the government relations arena since 1993 with positions on Capitol Hill, in the federal government, a non-profit and a trade association. Marvin Miller, market research manager for Ball Horticultural Company, served on the SAF Board of Directors and the Growers Council, and he is on the Awards Committee. He has been a longtime advocate for the industry during SAF’s annual Congressional Action Days. 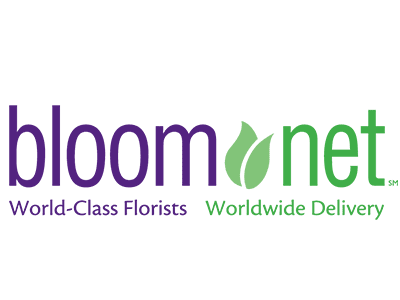 Additionally, he serves on the American Floral Endowment’s board of trustees and is treasurer and past president of America in Bloom, a nonprofit organization that promotes community enhancement programs through flowers, plants and trees. In 2017, Miller was appointed to the USDA’s National Agricultural Statistics Service (NASS) Advisory Committee on Agriculture Statistics. Mike Mooney is the general manager of Dramm & Echter, Inc., in Encinitas, California, overseeing sales, shipping, receiving and production planning for his family’s third generation business. 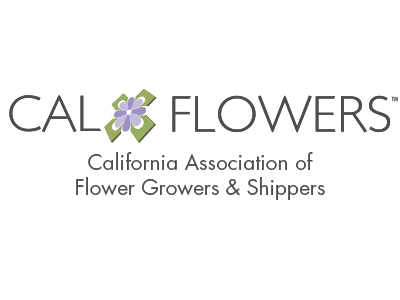 He serves on SAF’s Board of Directors, Growers Council and Government Joint Council and serves on the CalFlowers Board of Directors since 2013 and has been active in the California Cut Flower Commission. Terril A. Nell, AAF, Ph.D.
Terril A. Nell is research coordinator for the American Floral Endowment, professor emeritus of Floriculture at the University of Florida, past SAF President and the recipient of SAF’s 2015 Paul Ecke, Jr. Award. His research program has been concentrated on the production and postharvest handling of flowering potted plants and fresh cut flowers. His research results have resulted in significant production and handling changes in the floral industry. He serves as a consultant for floral and horticulture companies in the U.S. and internationally and continues to conduct flower and plant postharvest research in NC. Skip Paal is president of the Rutland Beard Floral Group in Catonsville, Maryland. 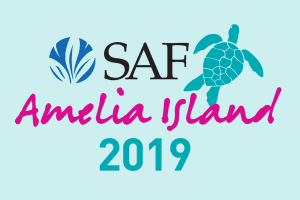 He is a member of SAF’s Board of Directors and has served on the SAF Retailers Council, Government Joint Council and Technology Committee, and has written several articles for Floriology Magazine. He has been awarded a Governor’s Citation in the State of New Jersey, a Senate Citation from the Senate of Maryland and a House Citation from the Maryland House of Representatives. John Sandell is the senior vice president at Cornerstone Government Affairs. He joined the firm in 2018 after seven years serving the House Ways and Means Committee, where he provided advice, staffed, and briefed the Chairman, Members, and senior staff on tax law and tax policy. He served Chairman Kevin Brady (R-TX), former Chairman (prior to his tenure as Speaker of the House) Paul Ryan (R-WI), and former Chairman Dave Camp (R-MI). His expertise includes working on the drafting, development, negotiation, and passage into law of several pieces of tax legislation, including the 2018 Bipartisan Budget Act, the 2017 Tax Cuts and Jobs Act, the 2015 PATH Act and CR/Omnibus, the Tax Increase Prevention Act of 2014, the 2014 Camp Draft, and the American Taxpayer Relief Act of 2012, among others. Hunt Shipman has held a variety of positions in government and the private sector. Prior to joining Cornerstone Government Affairs, Hunt was a senior executive for the largest trade association serving the food and beverage industry. From 2001 to 2003, Hunt served as Deputy Under Secretary for Farm and Foreign Agricultural Services and as the acting Deputy Under Secretary for Marketing and Regulatory Programs at the United States Department of Agriculture. Hunt also served as the staff director of the Senate Agriculture Committee, Professional Staff Member at the Senate Appropriations Committee, and on the personal staff of Senator Thad Cochran. A.B. Stoddard is an associate editor and columnist with political news site and polling data aggregator RealClearPolitics, and a contributor and guest host for SiriusXM’s POTUS Channel. She appears regularly on Fox’s Special Report with Bret Baier, as well as other shows on Fox News Channel, Fox Business Network, CNN, and MSNBC. She is a former associate editor and columnist for The Hill newspaper. Nonpartisan, Stoddard addresses elections and the political landscape of the day. Professional lobbyist trainer Stephanie Vance founded Advocacy Associates, LLC, to help individual citizens fulfill their right to be heard by their lawmakers. She’s been a lobbyist, congressional aid, legislative director and chief of staff on Capitol Hill and builds that first-hand expertise into fast, funny training scenarios to help her audience prepare for whatever comes their way on The Hill. Vance’s lively, interactive programs are always full of fresh practical advice. Her sessions always earn top marks from CAD veterans and first timers alike. Reid Wilson is the national correspondent for The Hill newspaper, Washington’s most widely-read political publication. Wilson covered politics for The Washington Post, and he’s the former editor-in-chief of National Journal’s The Hotline. His work has appeared in The New York Times, RealClearPolitics, Atlantic Monthly, New Republic, and other major news networks, and his expertise is frequently sought-after by MSNBC, CNN, C-SPAN, and radio shows across the nation. He is also the Amazon best-selling author of Epidemic: Ebola and the Global Scramble to Prevent the Next Killer Outbreak.